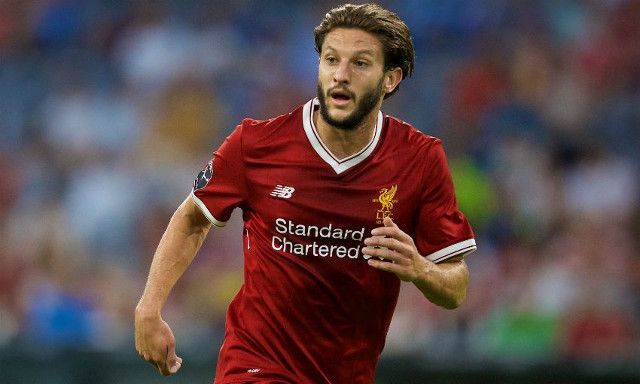 Adam Lallana has expressed the confidence he has in his teammates after suffering a crushing setback ahead of the new Premier League season. The Liverpool midfielder has been ruled out for up to three months after picking up a thigh injury during the club’s pre-season preparations. This means he will miss not only the start of his team’s league campaign but also the club’s upcoming Champions League playoff clash against Hoffenheim. Lallana has taken to Instagram to discuss his injury for the first time since his lengthy spell on the sidelines was revealed. Lallana’s absence has given Jurgen Klopp more work to do in terms of determining his strongest starting eleven and which system he will put his faith in. The likelihood is that the German will once again use the 4-3-3 setup that his players seemed to thrive in last season, although his preferred midfield trio remains to be decided. Jordan Henderson’s availability after missing the end of the 2016/2017 campaign through injury means he looks set to slot straight back into the team, while Emre Can will is also expected to retain his place as a prominent figure under Klopp. Philippe Coutinho could take up the third spot in a free role a little deeper behind an expected first-choice attacking trio of Sadio Mane, Roberto Firmino and Mohamed Salah. That said, Georginio Wijnaldum will also be pushing to be a regular starter after his strong debut season on Merseyside, while young Serbian Marko Grujic is another viable alternative for Klopp to consider. Lallana’s injury is a huge blow for the Reds, but one they need to be capable of dealing with.